Rooibos tea, also known as red tea, is native to South Africa. It has a rich store of antioxidants, substances that help prevent cell damage. Animal and test tube research suggests it might offer benefit for a variety of conditions but this type of research cannot firmly establish actual therapeutic benefit in people. Widely consumed as a beverage, roobois appears safe. A lack of human research on this herb makes it difficult to fully know, however, if it would cause any adverse reactions. If you plan on consuming large amounts of tea or using concentrated supplements because you believe it will address a particular health concern, talk to your doctor about the appropriateness of use. The Memorial Sloan Kettering Cancer Center reports rooibos demonstrates estrogenic activity. If you have a hormone-sensitive cancer, like breast cancer, talk to your doctor about the appropriateness of consuming rooibos. Rooibos contains a number of antioxidants. While usually associated with positive actions, some concern exists over whether or not antioxidant-rich supplements interfere with the actions of chemotherapy drugs. Talk to your doctor before using rooibos tea if undergoing treatment for cancer. She might suggest timing your intake of rooibos based on your treatment schedule. Sloan Kettering notes a case report of liver damaging after consuming rooibos. Your liver has a particulary sensitivity to what you put in your body -- particularly when operating at a reduced capacity -- and if you have liver disease, always talk to your doctor before consuming herbs in any form. Same goes if you have kidney disease. Whether or not you can safely consume rooibos if pregnant or breastfeeding has not been established. 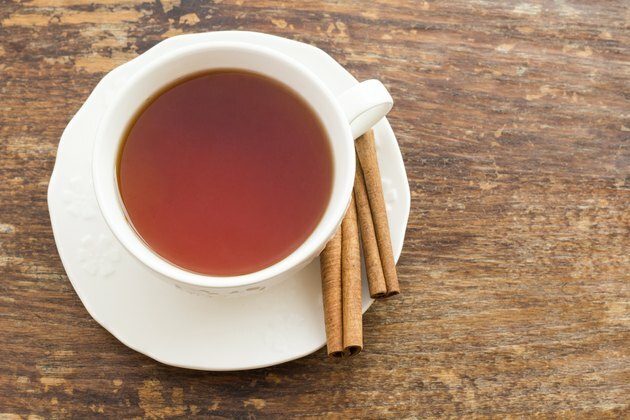 Drugs.com notes a lack of reports suggesting rooibos carries any risk of toxicity. According to the book "Microbiological Safety and Quality of Food", testing of various rooibos tea samples found it was contaminated with salmonella, potentially deadly bacteria.